When the New York Stock Market collapsed on October 29, 1929, the Great Depression spread across the nation. Particularly hard hit were teachers, who were sometimes paid "in kind" with foodstuffs instead of money. Utah was hit especially hard during the 1930s. Unemployment was already widespread in mining and agriculture, and conditions worsened. Severe drought hit farmers hard in 1931 and 1934. High freight rates limited the expansion of Utah's manufacturing industries. Not until the New Deal programs such as the Works Progress Administration (WPA) and Civilian Conservation Corps (CCC) came to Utah with a variety of cultural, reclamation and conservation projects was economic recovery, although slow, in sight. Reed Smoot, the first student to enroll at Brigham Young Academy in 1876 and a member of the high school Class of 1880, entered the U.S. Congress in 1903. At that time the nation was operating under the Dingley Tariff of 1897, at the time the highest in the nation's history. 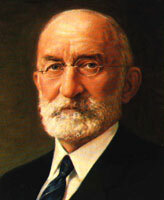 Smoot, appointed to the Senate Finance Committee in 1908, quickly became an expert on tariff issues, mastering the complex and arcane tariff schedules on a variety of goods. He became a firm and unyielding advocate of high duties to protect domestic industries. The Utah senator was particularly concerned throughout his political career with the tariffs on sugar and wool, two major Utah products that competed with imports. While Republicans held power they were able to keep the tariff relatively high. When Democrats took the presidency and both houses of Congress in 1912, tariffs were sharply reduced. The return of Republicans to national power in 1920 led to a resumption of protectionist legislation. By now a power in the Senate, Smoot was a close economic adviser to Presidents Harding, Coolidge, and Hoover. In 1923, the Fordney-McCumber Tariff raised rates again, including those on Cuban sugar, a direct competitor with Utah's beet sugar industry. With Smoot's ascention to the chairmanship of the Finance Committee, even higher rates were assured. In 1930, President Hoover signed the Smoot-Hawley Tariff which boosted average duties on imports to 53 percent, the highest in American history. While Smoot saw this legislation as the culmination of his protectionist career, most economists then and since have assailed the tariff's disastrous effect on world trade, at a time when the U.S. domestic economy was already suffering. The higher rates, about one-third greater than previous duties, made it more difficult for foreign nations to purchase American goods, and diminished their ability to pay off their war debts. In retaliation, some twenty-five nations raised their duties, making American goods more expensive. By the time the Democrats took power in 1932 and lowered the tariffs under the Reciprocal Trade Agreements Act in 1934, the world economy was in a tailspin. Senator Smoot never fully acknowledged the unintended consequences of his legislation. In fact, he argued in the depths of the Depression that the rate might not be high enough. The 1930 tariff was "the Great Protectionist's" proudest moment. Unfortunately, Utah was not well positioned for the events of the 1930s. The national Depression had a strongly adverse impact on the state. 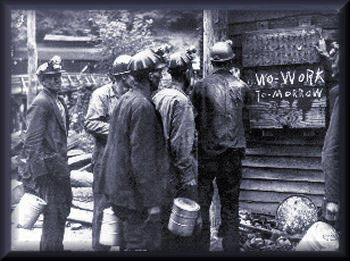 Thousands of farming, mining, and manufacturing workers were put on furlough. One bright spot was that, although farmers' incomes were lower than in the 1920s, many Utahns kept farm animals, such as chickens, pigs, and cows, which helped families make ends meet. This was true even in Provo. Thus it was no surprise that when presidential elections were held in 1932, this Republican state supported Franklin D. Roosevelt and turned out longtime Senator Reed Smoot, in spite of the fact that the LDS Church leaders unofficially supported the GOP. Utah was among the states hit hardest by the Great Depression of the 1930s. That claim surprises many people, who assume, for various reasons, that Utah was spared the worst. A few statistics will illustrate the point: In 1933 Utah's unemployment rate was 35.8 percent, the fourth worst in the nation. For the decade as a whole, unemployment averaged 26 percent. By 1932 the wage level for the employed had declined by 45 percent, and the work week shortened by 20 percent. Annual per capita income dropped 50 percent by 1932, and by 1940 had risen to only 82 percent of the pre-Depression level. By the spring of 1933, 32 percent of the population was receiving all or part of their food, clothing, shelter and other necessities from government relief funds. Thirty-two of Utah's 105 banks failed. Corporate business failures increased by 20 percent. In addition to his thirty years as a U.S. Senator, ending in 1933, many Utahns remember Reed Smoot for his service as a member of the Quorum of the Twelve Apostles in the Church. He made history with his early battle to keep his senate seat despite strong anti-Mormon opposition. He is also remembered for his role in drafting and passing the Smoot-Hawley Tarrif Act of 1930, already mentioned. Many are not aware, however, of Smoot's other accomplishments. As a member and chair of the Senate Committee on Public Lands and Surveys, he played a key role in the passage of a number of laws and policies to protect public lands. 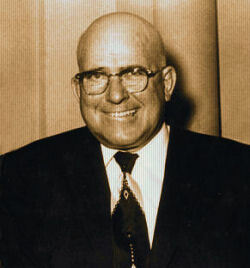 Smoot sponsored or supported measures that 1) strengthened the hand of the U.S. President and Forest Service Director in protecting national forest lands; 2) established the National Park Service; 3) designated Zion and Bryce as national parks, and Cedar Breaks as a national monument; and 4) required those who mined public lands or used river sites for the generation of electricity, to pay royalties. For the most part, Utahns supported these efforts. Brigham Young High School students and faculty struggled financially to keep going during these lean years. 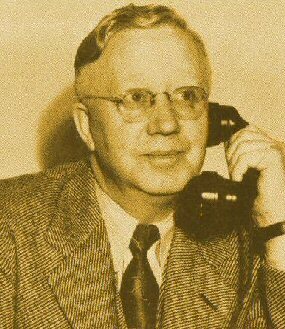 Edgar M. Jenson began serving as BYH principal in 1928, and continued through seven of the toughest years, and somehow kept the high school operating. In 1935, Golden L. Woolf began his eleven-year term as principal. Heber J. 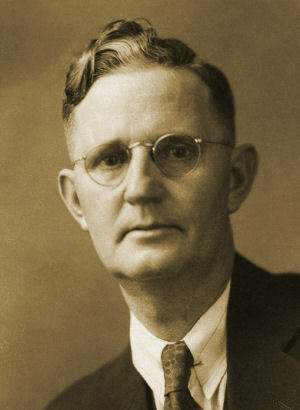 Grant served as Church President all during the 1930s. He became President in 1918 and continued to his death in 1945. One of President Grant's greatest legacies is the welfare program of the Church, which was instituted by revelation in 1936. He said, "Our primary purpose was to set up, in so far as it might be possible, a system under which the curse of idleness would be done away with, the evils of a dole abolished, and independence, industry, thrift and self-respect be once more established amongst our people. The aim of the Church is to help the people help themselves." 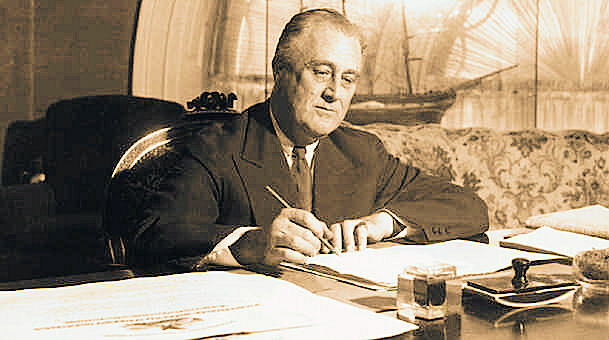 When Franklin D. Roosevelt took office in March 1933, the first of his New Deal programs, called the Federal Emergency Relief Act of 1933 (FERA), was approved on May 12. The act extended federal participation in relief efforts for two more years, but it changed the nature of the funding from loans to direct grants to the states. Roosevelt established a host of New Deal "alphabet agencies" -- so named for their abbreviations, such as the CCC, PWA, WPA, AAA, RA and NYA. The number of agencies grew as the government pumped increasing amounts of money into the economy. Enthusiasm for the New Deal and the resulting economic security increased among most Utah County residents. Projects that had been discussed for years were finally approved, funded and constructed. They included Provo River projects and extensive terracing of the Wasatch Range for erosion control. The Civilian Conservation Corps was not only one of the first of the "alphabet agencies" to begin operations in Utah County, but also was one of the most successful. The CCC's major role in Utah County was to help address two problems: 1) provide financial relief to worker's families, and 2) to help implement conservation projects in the region. The U.S. Forest Service supervised erosion-control projects in the Wasatch Mountains adjacent to Utah Valley. The National Park Service, along with the city of Provo, jointly supervised the only "metropolitan area" camp in Utah. The first CCC camp to be completed in Utah was located ten miles up American Fork Canyon. 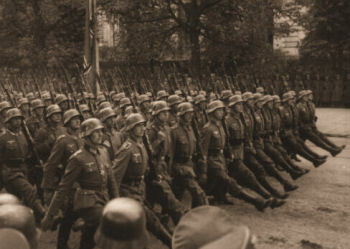 By July of 1933 the camp held two hundred men. One of the seldom discussed effects of the CCC program was that young men from all over the nation were introduced to Utah, and many of them stayed and made their homes after their service was complete. On a darker note, in 1934 Adolf Hitler became the Fueher of Germany. A devastating 1934 drought induced Utah Governor Henry H. Blood to hire a young irrigation engineer, George Dewey Clyde, who worked at the Agricultural Experiment Station in Logan, to serve as state water conservator. Clyde conducted a state-wide investigation of Utah's water prospects. His report was so well done, but so alarming, that Governor Blood endorsed the report and turned it over to Robert H. Hinckley, Sr., Utah's director of the Federal Emergency Relief Administration. Robert Hinckley was the son of the BY High principal from 1904-1909, Edwin S. Hinckley. 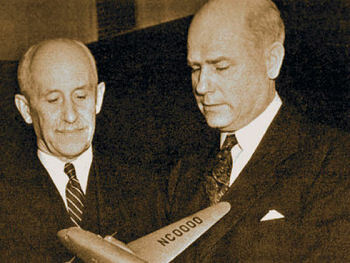 Robert Hinckley sent a telegram to Washington, D.C., outlining Clyde's findings. Within thirty-six hours President Roosevelt had approved a grant of $600,000 for Utah. These funds were quickly depleted and, following another appeal to FERA officials, the state received an additional $400,000. Within three months a state committee had distributed the money to a number of emergency water projects. Using these federal funds, workers drilled 276 wells, developed 118 springs, lined 183 miles of irrigation ditches, and laid 98 miles of pipeline. Utah officials also lobbied for long-term solutions to drought problems. These efforts eventually resulted in the construction of the Deer Creek and Pine View dams and other reclamation projects near Provo and around the state. In addition to water and conservation projects, the highway construction program received a boost so hard-surface roads linked Utah together with faster transportation. The number of Utah farms peaked in 1935 at 35,000, showing that finally a maximum amount of land was in use. After that date, a slow decline in the number of farms began in Utah that has never been reversed. By the end of the 1930s Utah's economy finally began to swing upward. On the horizon was another world war, bringing the resources of the federal government to Utah in a more permanent way, in terms of air bases, supply depots, Army and Navy facilities, and related defense manufacturing, which would change the state forever in the 1940s. A somewhat quiet, but vitally important milestone was reached in 1937, when Dow Chemical first developed "plastics". Early plastics were inferior in many ways, but now it is difficult to imagine a world without plastics. In 1939 the tourism industry received a boost with the establishment of the Alta Ski Area. The dry, powdery snow of the Wasatch Range became world famous by providing some of the best skiing in the world. BY High students later organized a Ski Club that continued through 1968. The people of Utah and the entire world were shocked when Nazi armies invaded Poland on September 1, 1939 -- the beginning of World War Two. The U.S. military forces would not enter the war, however, until after the December 7, 1941 sneak attack on Pearl Harbor by Japanese forces. The administration of both BYH and BYU experienced a significant change when, on February 2, 1939, the Brigham Young University Board of Trustees was reconstituted to be composed only of Church General Authorities, led by President Heber J. Grant. 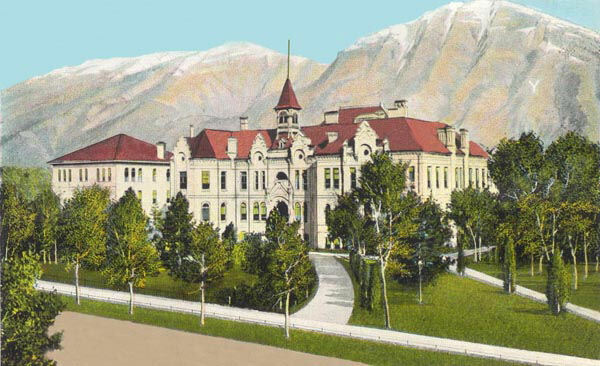 The students of Brigham Young High School were influenced by all of these events and circumstances of the 1930s, but their routine school days at BYH, compared to those of later generations, were more similar than they were different.